Church of Jesus Christ of Latter-day Saints, Record of Members Collection. CR 375 8, box 4256, folder 1, images 246, 405-406, 451. Church History Library, Salt Lake City, Utah. Evans, Etta Mae. Reorganized Church of Jesus Christ of Latter Day Saints. Deceased Membership Files, 1877-1995. Film 1986705 and 1993518. Family History Library, Church of Jesus Christ of Latter-day Saints, Salt Lake City, Utah. Evans, George and Etta Mae Magee. Marriage License, 14 February 1934. Walthall County, Mississippi. Evans, George Wright. Registration Card. Serial Number 695, order Number 10,559. WWII Registration Draft Cards, Arkansas and Louisiana. Records of the Selective Service System, 1926–1975, Record Group 147. National Archives and Records Administration, Ft Worth, Texas. Liahona: The Elders’ Journal, (Independence, MO) Vol. 10, No. 19 (October 29, 1912), 304. "Evans, Etta Mae," Oakland Tribune (Oakland, California) 05 Jul 1963, 32. Magee, Etta Mae. Family Tree, Ancestry.com. Accessed 29 April 2018. Mixon, Gloria Evans. Email, to W. Paul Reeve. 17, 19 April 2018. Church of Jesus Christ of Latter-day Saints, Record of Members Collection, CR 375 8, box 4256, folder 1, image 246, 405-406, 451, Church History Library, Salt Lake City, Utah; United States Census, 1910, 1920, Pike County, Mississippi; George Ernest Andersen, Early Mormon Missionaries database, Church of Jesus Christ of Latter-day Saints; Eugene Christensen, Early Mormon Missionaries database, Church of Jesus Christ of Latter-day Saints. On October 29, the Liahona, an LDS missionary magazine, reported: “The history for Mississippi for last issue was overlooked. 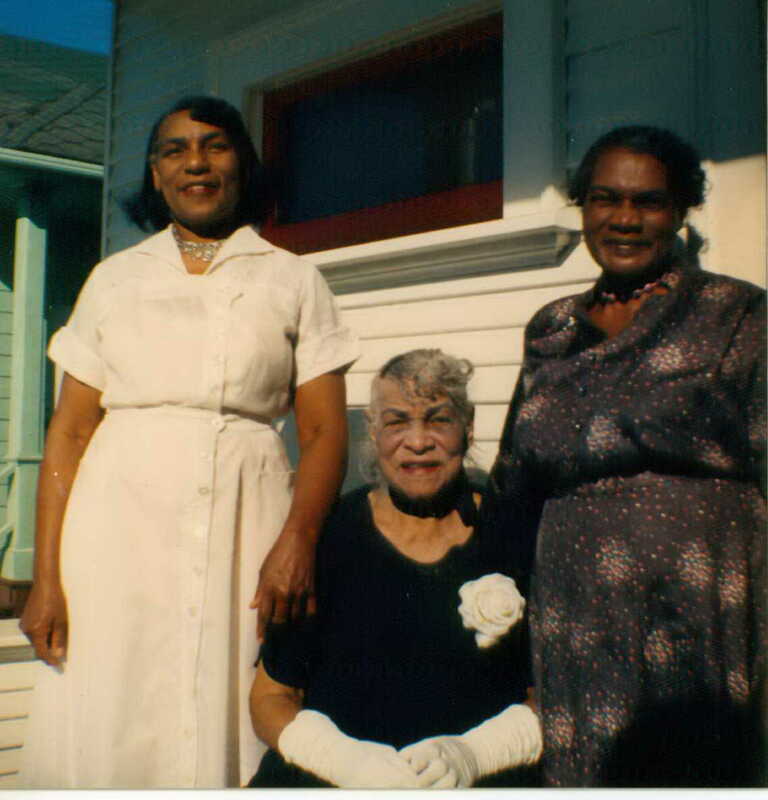 Seven baptisms should have been reported, one by Elder Ernest Anderson and six by Elder Jed M. Terry.” Elder Andersen’s baptism would have been Etta Mae Magee. See Liahona: The Elders’ Journal, (Independence, MO) Vol. 10, No. 19 (October 29, 1912), 304. George Evans and Etta Mae Magee, Marriage License, 14 February 1934, Walthall County, Mississippi. George Wright Evans, Registration Card, Serial Number 695, order Number 10,559, WWII Registration Draft Cards, Arkansas and Louisiana. Records of the Selective Service System, 1926–1975, Record Group 147. National Archives and Records Administration, Ft Worth, Texas; Etta Mae Magee, Family Tree, Ancestry.com, accessed 29 April 2018. Etta Mae Evans, Reorganized Church of Jesus Christ of Latter Day Saints, Deceased Membership Files, 1877-1995, film 1986705 and 1993518, Family History Library, Church of Jesus Christ of Latter-day Saints, Salt Lake City, Utah; "Evans, Etta Mae," Oakland Tribune (Oakland, California) 05 Jul 1963, 32.